As you all know, the Google Maps Navigation and Google Maps Navigation Night Version mods use the original American Truck Simulator map data. Therefore, it does not work properly with map mods. I could not ignore the wishes of people using map mods. Finally, I have prepared special addons for map mods. You can now use Google Maps Navigation and Google Maps Navigation Night Version mods with the desired map mod. Map mods: CanaDream, Coast to Coast, Mexico Extremo and Viva Mexico Map. v 2.0 Update Released! Click for details! 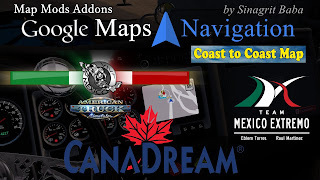 These addons allows to use Google Maps Navigation & Google Maps Navigation Night Version with the CanaDream map mod. Compatible with CanaDream 2.7 version. These addons allows to use Google Maps Navigation & Google Maps Navigation Night Version with the Coast to Coast map mod.  Compatible with Coast to Coast 2.6 version. These addons allows to use Google Maps Navigation & Google Maps Navigation Night Version with the Mexico Extremo map mod. Compatible with Mexico Extremo 2.0.5 version. These addons allows to use Google Maps Navigation & Google Maps Navigation Night Version with the Viva Mexico Map mod. Compatible with Viva Mexico Map 2.4.7 version.